IBlessed Maria Josefa of the Heart of Jesus, eldest daughter of Bernabe Sancho, chair-maker, and of Petra de Guerra, housewife, was born in Vitoria (Spain) on September 7, 1842, and was baptized the following day. According to the custom practiced then, she was confirmed two years after, on August 10, 1844. Her father died when she was seven years old, her mother prepared her for the First Communion, that she received at ten years old. At the age of fifteen she was sent to Madrid to some relatives to receive education and a more complete formation. The characteristic traits of her infancy and childhood were: a strong piety to the Eucharist and the Virgin Mary, a remarkable sensibility towards the poor and the sick and an inclination to solitude. She returned to Vitoria at the age of eighteen and manifested to her mother the desire to enter in a monastery, feeling an attraction to the claustered life. From adulthood, Blessed Maria Josefa used to repeat: “I wasborn with a religious vocation.” Only that, looking at the circumstances, it shows that she passed various experiences but not without listening to different suggestions of wise churchmen, before finding the definitive form of her vocation. She was, in fact, to be on the point of entering to the Conceptionists contemplative of Aranjuez in 1860, but was prevented by the occurrence of a grave sickness of typhus. Her mother helped her to overcome the disappointment. On the succeeding months, it seemed to her understanding that the Lord calls her to a type of religious active life. For this, she decided to enter in the Institute of the Servants of Mary, recently founded in Madrid by Saint Soledad Torres Acosta. With the coming of the time of her profession, she was assailed with grave doubts and uncertainty on her effective call in that Institute. She opened her soul to various confessors and from their advices she felt that she was mistaken on her vocation. 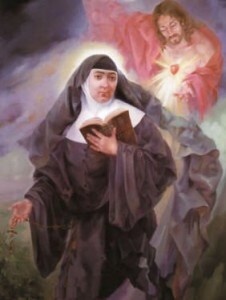 The meetings with the holy Archbishop Claret and the serene conversations with the same Saint Soledad Torres Acosta, gradually arrived to the decision of leaving the Institute of the Servants of Mary to give life to a new religious family, that had for its aim the exclusive assistance to the sick in the hospitals and in their homes. Sharing this same ideal with three other Servants of Mary, who with the permission of Cardinal Archbishop of Toledo, went out together with her with the same purpose. The new foundation was made in Bilbao in the spring of 1871, when Maria Josefa was twenty nine years old. Since then, and for the succeeding forty one years, she was superior of the new Institute of the Servants of Jesus. She embarked on difficult trips to visit the different communities until a long sickness confined her in the house of Bilbao. Obliged to stay on bed or in an armchair, she continued to follow the events of the various communities with in and outside Spain through a painstaking and precious correspondence. On her death, on March 20, 1912, which happened after long years of suffering, there were 43 houses founded and the number of her Sisters reached more than one thousand. Her holy death caused great impact to Bilbao and in other numerous localities where she was known through the houses of her Institute. In the same way, her funeral had an extraordinary resonance. She was buried in the municipal cemetery of Bilbao. In 1926, her fame of sanctity grew and her mortal remains were transferred to the Mother House of the Institute and have been buried in the chapel until now.